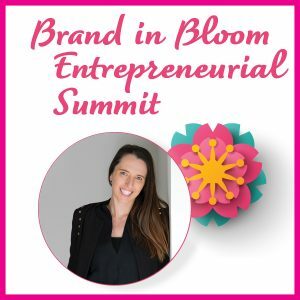 Brand in Bloom is the theme of the SCC Small Business Center 2019 Entrepreneurial Summit. This free event will be on Tuesday, April 9 from 9 am until 1 pm. Through a two-part interactive seminar, guests will learn from Liz Muroski a four-step cumulative framework for organically and strategically structuring a thriving personal brand that serves entrepreneurs long-term and keeps them consistently profiting from their passions. This proven sequence is one Muroski has carefully crafted over a decade of working in the digital marketing industry. Participants will learn exactly what it takes to create a flourishing online presence and emerge feeling confident that they can eclipse the competition, spur constant growth, and truly own the zone, regardless of skill-set or level of experience in the digital world. Guests will have a unique opportunity to not only learn new material but to put it into practice as it is taught. 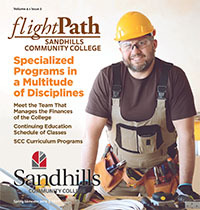 The 2019 Entrepreneurial Summit is sponsored by the Sandhills Community College Center for Entrepreneurial Leadership and its partners. This annual event offers entrepreneurs, small business owners, their employees, community members, and students a forum where they can come together to network and learn about the latest business trends and topics. To learn more or to register for the summit, go to sandhills.edu/sbc or contact Teresa Reynolds at reynoldst@sandhills.edu or (910) 695-3938. The mission of the SCC Small Business Center (SBC) is to increase the success rate and numbers of viable small businesses in Moore and Hoke counties by providing high quality, readily accessible assistance to prospective and existing small business owners that will lead to positive economic impact and job creation. The SBC Network across North Carolina assists in starting an average of 700 businesses each year. Small Business Centers have an economic impact in 90% of all NC Counties every year, helping to create and retain over 3,800 jobs annually. The SCC SBC offers free seminars targeted for the needs of small business owners and startups. Register for free seminars by visiting sbc.sandhills.edu. If you would like information about starting a business or wish to discuss specific needs regarding your business, contact Teresa Reynolds at (910) 695-3938 or reynoldst@sandhills.edu.